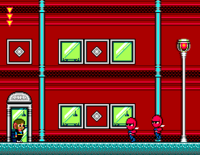 Alex Kidd in Shinobi World is a game released in 1990 for the Sega Master System console. 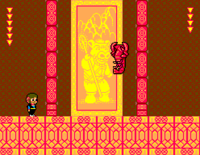 It is the sixth and final game in the Alex Kidd series. 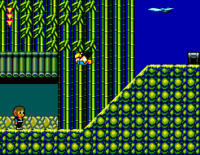 The game is a parody of the game Shinobi, with the small difference of Alex Kidd playing the hero’s role. 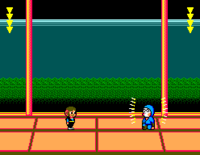 Alex Kidd must rescue his girlfriend from the evil ninja Hanzo. He is transformed into a ninja by a mysterious deity, the White Ninja, to help him perform this task. 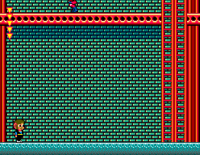 Alex Kidd in Shinobi World received favourable responses from both gamers and reviewer alike and many consider it one of the finest Master System games ever made. 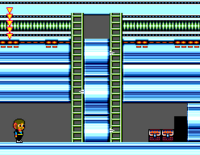 The game plays similarly to previous games in the Alex Kidd series, with assigned for attacking and for jumping, but with some major differences. Alex attacks with a sword, instead of his trademark fist. Ninja knives can be found, which can be used to attack enemies at a distance. Ninja magic can also be found, which allows Alex to temporarily turn into a whirlwind. Alex can also climb up ropes, bounce off walls, or swing from lamp posts and pipes to fling himself at his attackers. This is the only game in the series that has a life meter. Alex can take three hits, but he can restore his health by finding a heart. When Alex has six hit points, any further hearts become extra lives. Parody of Shinobi's first level. 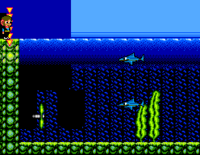 Parody of Shinobi's second level, particularly level 2-3 with lots of jumps, swimming and harbor background. End boss is "Heli". Another parody of Shinobi's bosses, "Black Turtle". 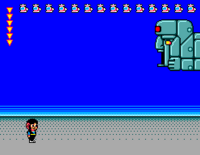 End boss is "Robster" a giant lobster, which is obviously a parody Shinobi's of 4th level boss "Lobster". Take place in a ancient Japanese castle. 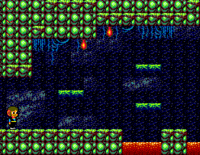 Mostly a parody of Shinobi's final level. End boss also acts just like Nakahara, Shinobi's final boss with different appearance. 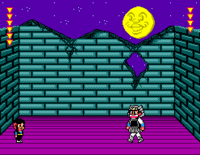 During the development phase, in which the game was named "Shinobi Kid", first boss Kabuto was actually going to be a parody of Super Mario, Nintendo's most well-known character. He was supposed to have a moustache and named "Mari-Oh" but this was later dropped due to possible copyright problems. 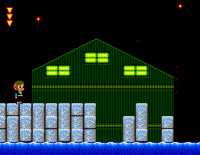 The obscure reference still remains however as Kabuto shrinks (similar to Mario who also shrinks when damaged, before the dies) when players inflict enough damage to him. 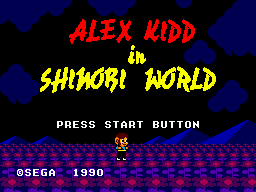 Main article: Alex Kidd in Shinobi World/Magazine articles.